The best way to build a web product that no one will use is to build the coolest thing your team can come up with, without researching your users’ wants and needs first. Like any successful web development company, we never kick off the content, design or development phases of a project without first making sure we understand our client’s users. After all, without considering the user throughout the process, we wouldn’t be able to do what we do best – create amazing user experiences. 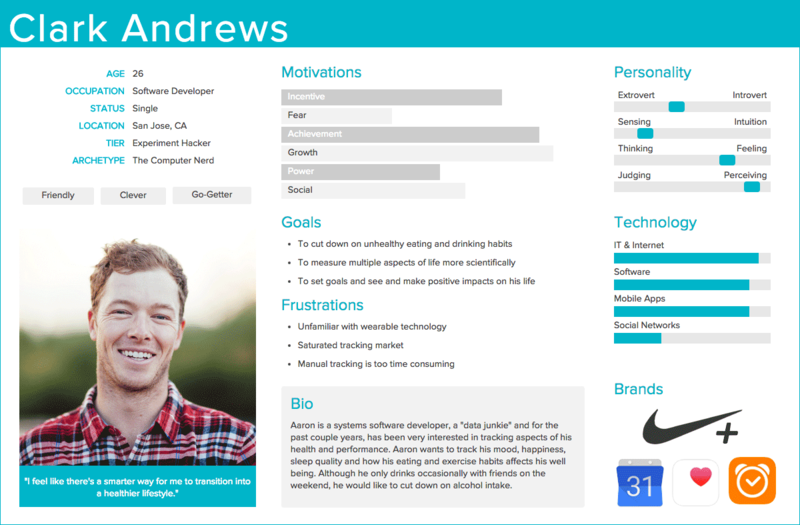 A great way to document your user types and their goals is to create in-depth user personas. These are profiles of your target users that you can refer to throughout the project, from discovery and planning through development. What does a user persona look like? There are lots of ways to create user personas. How you build your personas depends on how much detail you need and what information you plan to include. Role: Who is your user? Motivation: What goal is your user trying to accomplish on your site or application? Call to Action: How will your user be targeted on your site or application? Some user persona documents are simple outlines. Some are more visual, featuring a photo or icon for each persona, with charts and graphs supporting the content. There are lots of tools, like Xtensio (where you can build detailed personas like this one), available to make documenting user personas easier. How do I get the information I need about my users? There are a number of ways to get to know your users. The first step you can take is to analyze your existing site traffic. Who’s visiting your site? How do different user types interact with your web product? What are your users’ destinations? In person or automated testing is another way to obtain insights into how your users are experiencing your existing platform. Budget allowing, another step Integrity loves to take as we acquaint ourselves with our clients’ users is to interview them. From phone calls to focus groups, any opportunity to hear directly from the people we’re building a site or application for is one we’d never pass up. What do I do with my user personas? Once we’ve built out and had our user personas approved, we use them as a reference point throughout the project. They play a huge role in the establishment of a site or application’s information architecture by serving as the foundation for user flows and sitemaps. The applications for user personas extend even beyond the launch of a new web application or site. The user goals laid out in the personas can help guide the analysis of the experience: Are users finding the information they need? Is the product clear in guiding them to the pages they want to see? User personas can expand and evolve as you learn more about your users’ behaviors. Integrity operates on the philosophy that the user experience you offer your customers IS your brand. Our commitment to advocating for our clients’ users is ultimately what results in projects that grow their businesses. User personas are a critical piece of the equation in any web project, a reference point for the entire team across every phase. Need a team of UX experts to help you build an amazing experience tailored to fit your users’ needs? Let’s chat.